The big problem isn’t the saltshaker. Nearly 80 percent of the salt we eat is already present in processed and restaurant food when we buy it. 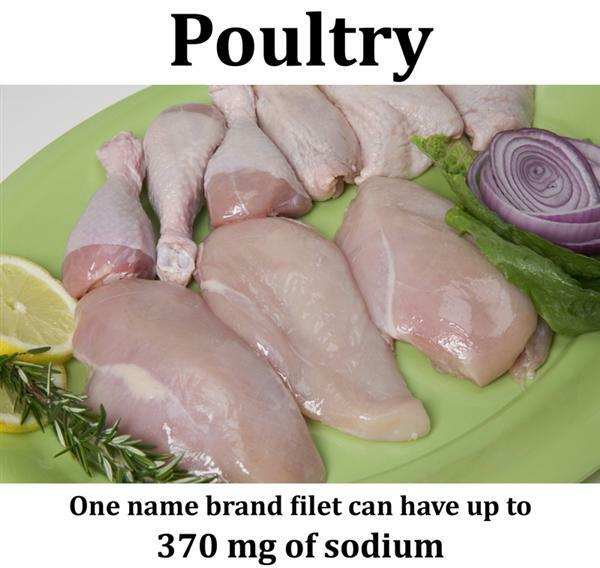 Some processed foods, such as salad dressings, tortillas and muffins, have a lot of sodium and don’t even taste salty. The salt is hidden. We eat so much hidden salt that the average American eats more than twice the recommended daily maximum. 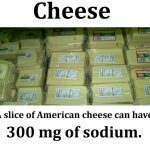 And high-salt diets can increase the risk for high blood pressure, which can lead to heart disease and stroke. 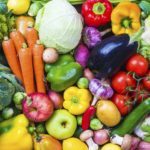 One in three Shasta County residents have high blood pressure, so it’s important to start reducing the salt in our community’s diets. People of all ages can improve their health by eating less salt. 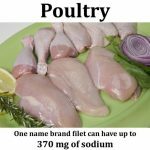 Many high-sodium foods, such as chicken nuggets or mac n’ cheese, are marketed to children. Your kids can develop a taste for high-salt foods that can increase their risk of future health problems. 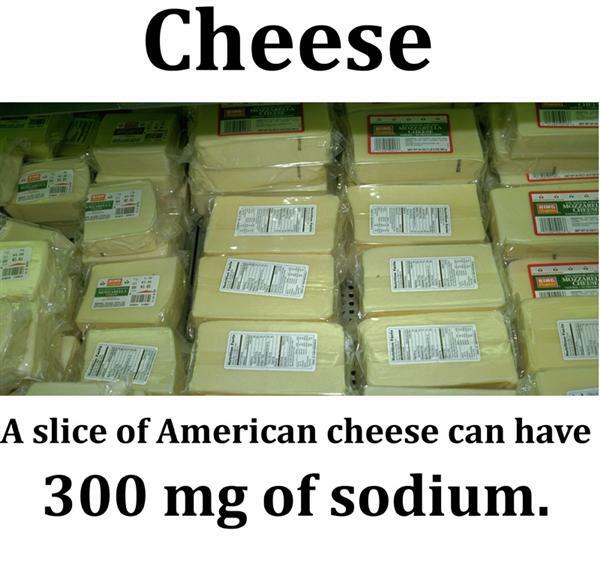 Most Americans consume more than 3400 mg of sodium a day. 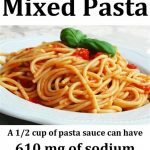 Healthy young adults may eat up to 2300 mg of sodium a day. 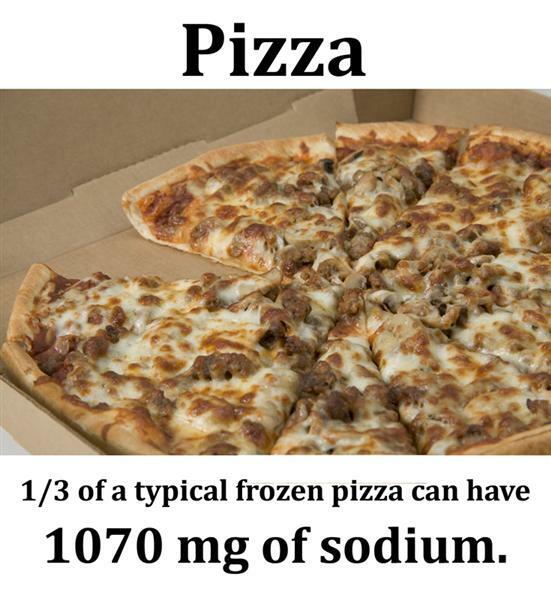 how much sodium you are currently eating. It’s possible to take back control of your dinner table. Check labels. 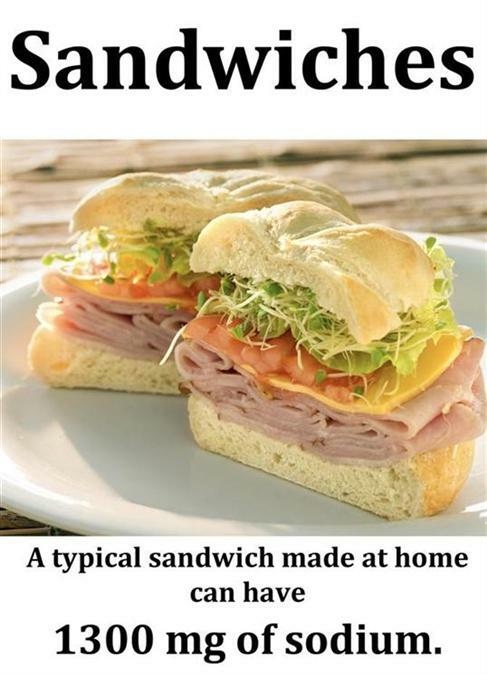 Compare brands. Some brands contain less sodium than others. 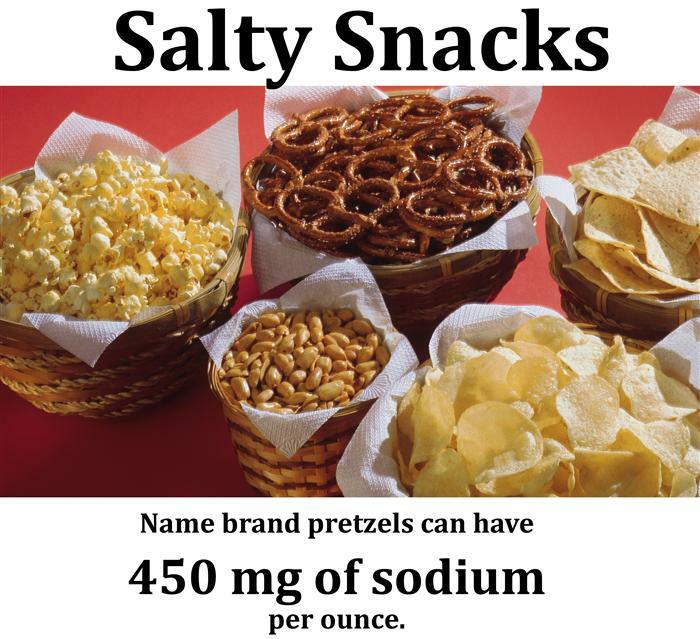 Avoid the worst high-sodium foods. 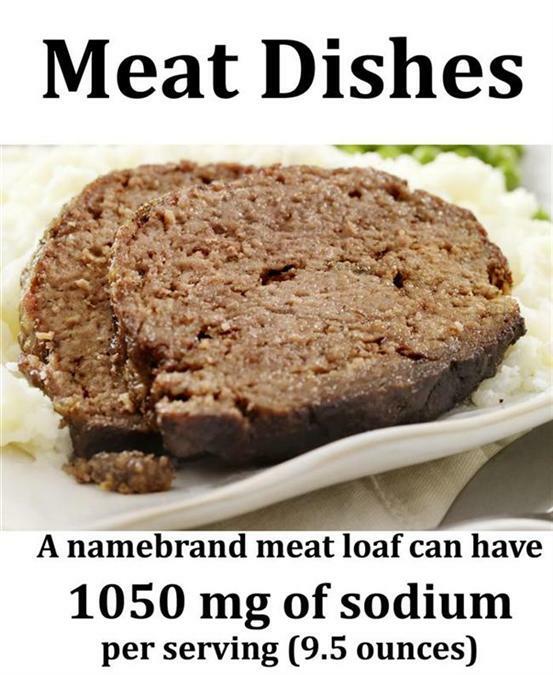 Click here to see the top ten high-sodium offender foods. Ask for nutritional information when eating out and choose lower sodium options. Cook with fresh produce when you can. For flavoring, try fresh herbs and spices. See pdfs below for info on herbs, seasoning blends and delicious salad dressing recipes. 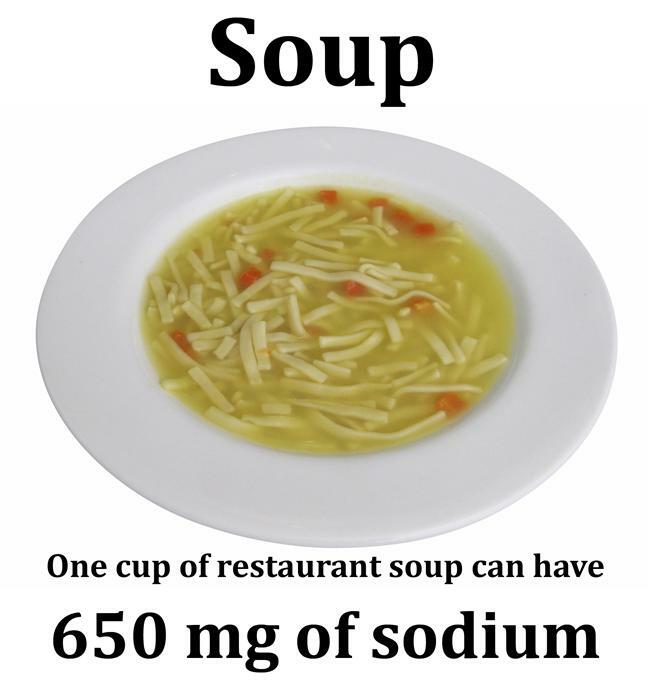 Reducing the sodium in our community’s diet by just 15 percent can make a difference in our health. If every American reduced their salt by 15 percent, it could save millions of lives and billions of dollars in health care costs. Hidden salt is everywhere, even in condiments. Check out the video below to learn more. 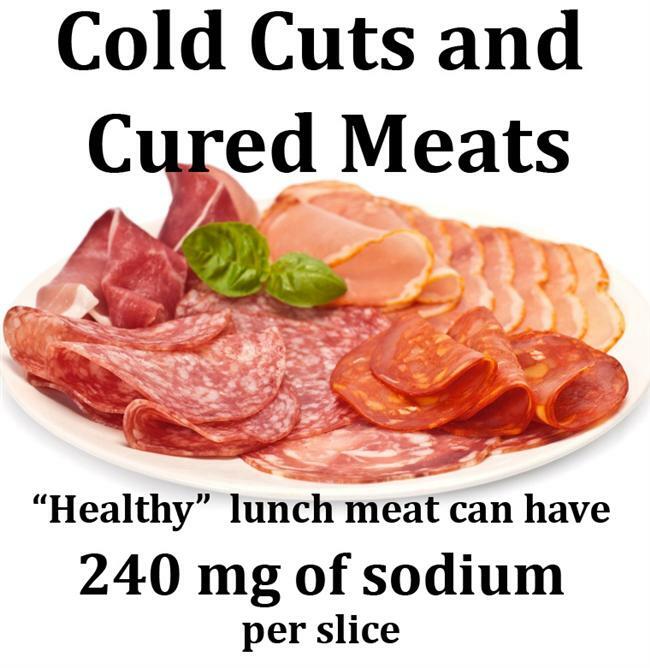 Shasta County is one of a handful of communities throughout the United States that have been funded by the Center for Disease Control to reduce the amount of salt people eat by improving the availability of low-salt meals and foods. 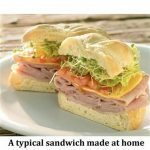 Partner with local restaurants to help develop lower-salt menu items. Develop a Healthy Restaurant Toolkit. 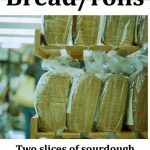 Work with local governments to establish a policy that sets low-salt guidelines for foods sold in government facilities. 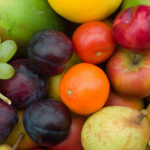 Work with school districts to create lower-salt menu items at school cafeterias and to develop sodium guidelines for local school wellness policy. 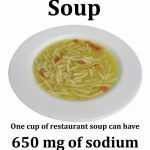 Read more about the CDC’s sodium reduction program. The Cut the Sodium but Keep the Flavor toolkit is an easy to use guide for restaurants that are interested in reducing the amount of sodium in foods to improve the health of their community. 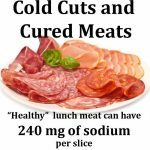 This toolkit gives background information on sodium, explains why it is a concern, and provides nine easy strategies to cut the sodium but keep the flavor. 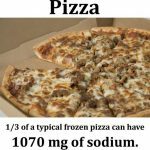 The average American eats about 3400 mg of sodium a day, more than twice the maximum amount most people should eat to keep stay heart healthy and keep blood pressure low. 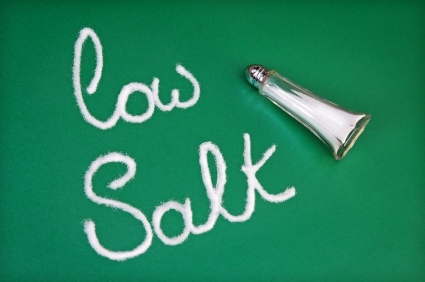 High-salt diets don’t come from using the salt-shaker, but from hidden salt. 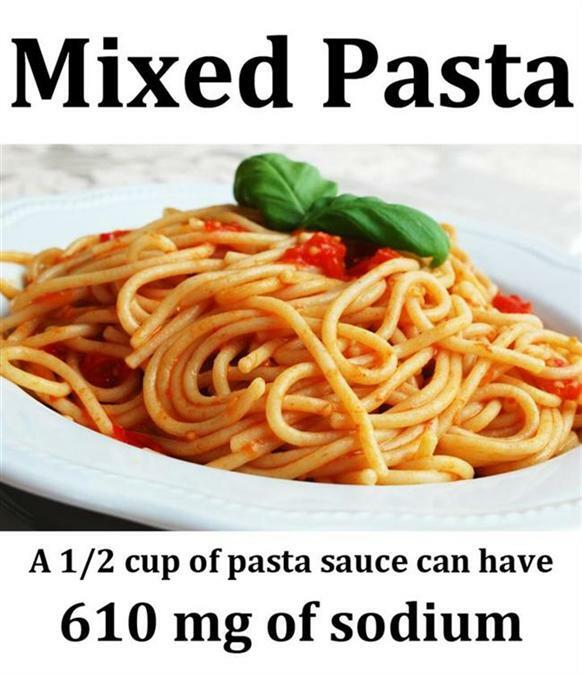 Many everyday foods – some often thought of as “healthy” – already contain high amounts of sodium when purchased at the store or at restaurants. 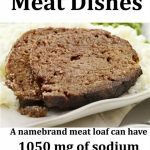 According to a CDC study, below are the top ten high-sodium offenders, based on sodium content and popularity. 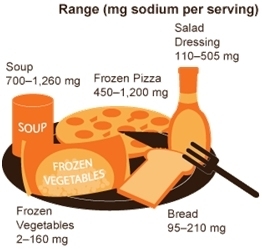 Keep in mind, a low sodium food has 140 mg of sodium per serving or less. ABC News also produced a report, Too Much Salt? 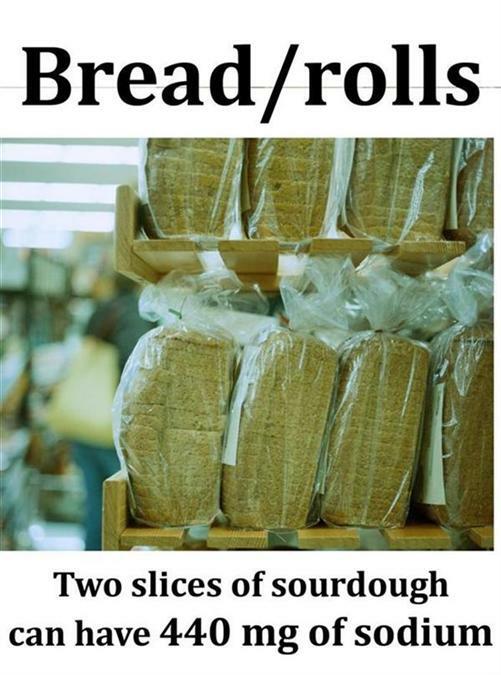 Try Holding the Bread, on the CDC study and hidden salt. Check out the video below. Don’t be scared! Saul the Salt Monster is only fierce when high sodium foods are around. 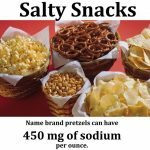 He knows high sodium diets are linked to high blood pressure, which can lead to heart disease, stroke and kidney disease. 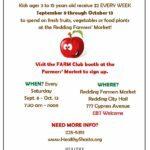 Follow his adventures as he helps Shasta County families lower the amount of sodium they eat. Be sure to follow all of Saul’s adventures on Facebook. Take the Pledge to Rethink Your Drink!